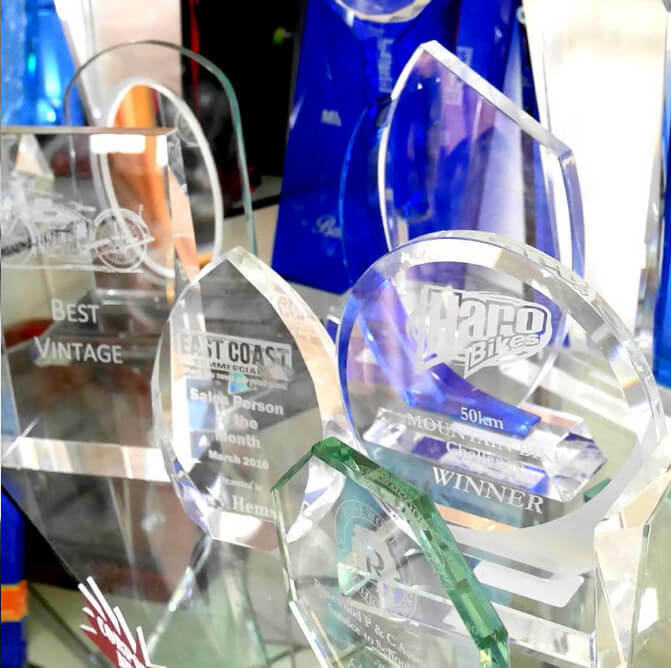 Make your anniversaries, weddings and commemorative events memorable, with prestigious and finely crafted glassware, crystal souvenirs, gifts and plaques. Ensure that your highest achievers receive a prestigious reminder of their efforts with a stylish and durable showpiece on your walls. Timber, steel or acrylic. 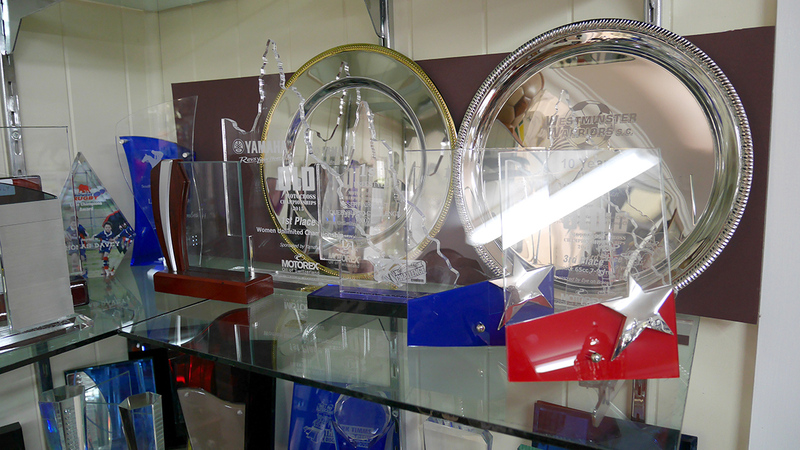 Choose these stunning and versatile awards that can be treasured for a lifetime. 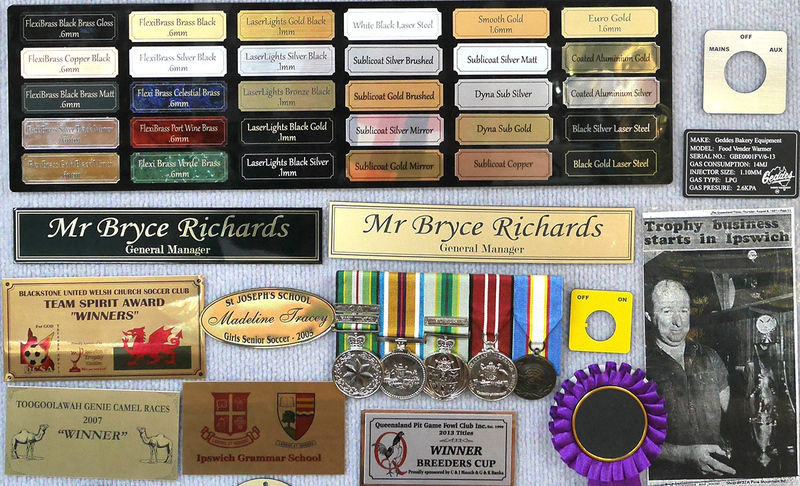 Decorate with coloured plaques, logos and laser-etched tributes. 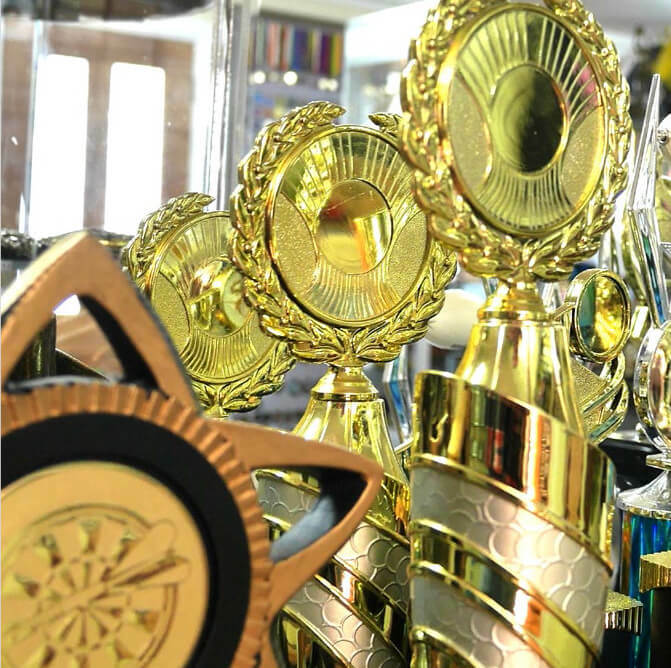 Our selection team choose only the most unique and stylish trophies for all settings, from kindergarten sports days through to prestigious government honours. 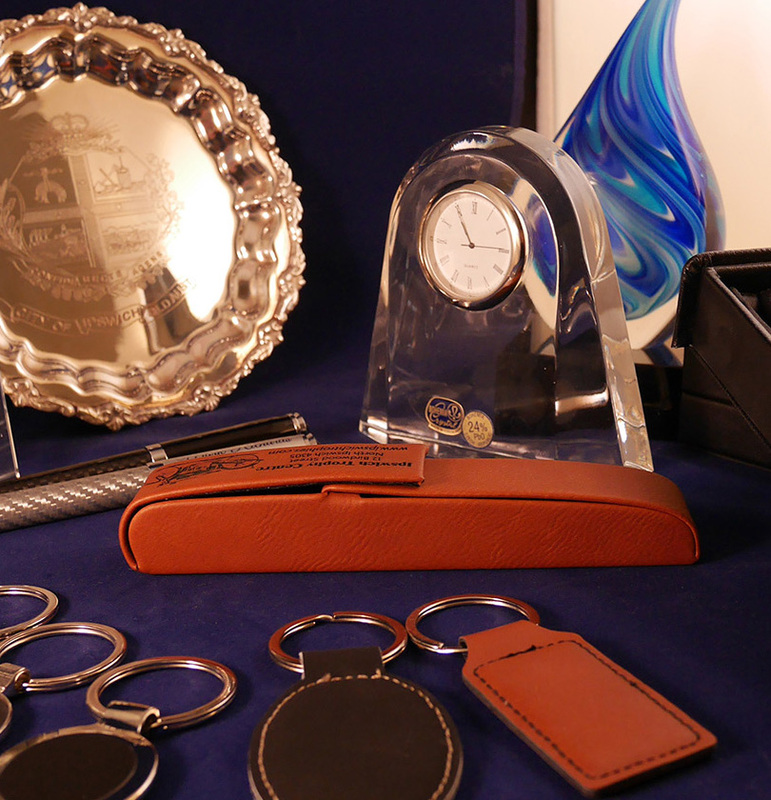 Encourage excellence among your staff and leadership teams with attractive and memorable gifts both large and small. 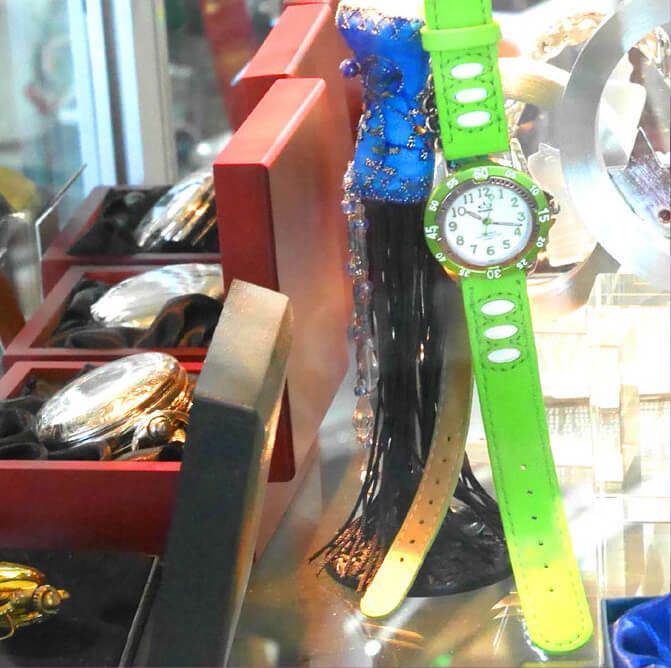 An elegant gift to remember your respected contributors. Honour them with an enduring keepsake that will take pride of place in their home. 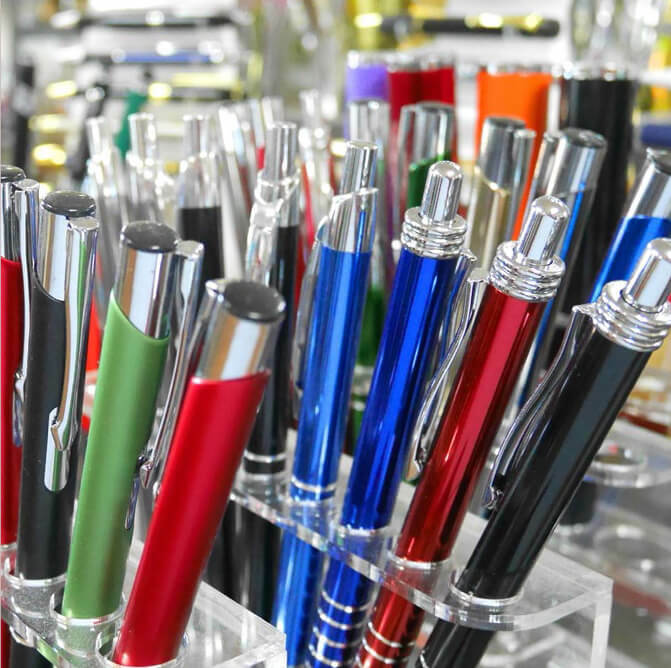 In a range of colours and finishes, our pens are a stylish and precision crafted. Give your prize winners, and customers a gift to use every day. 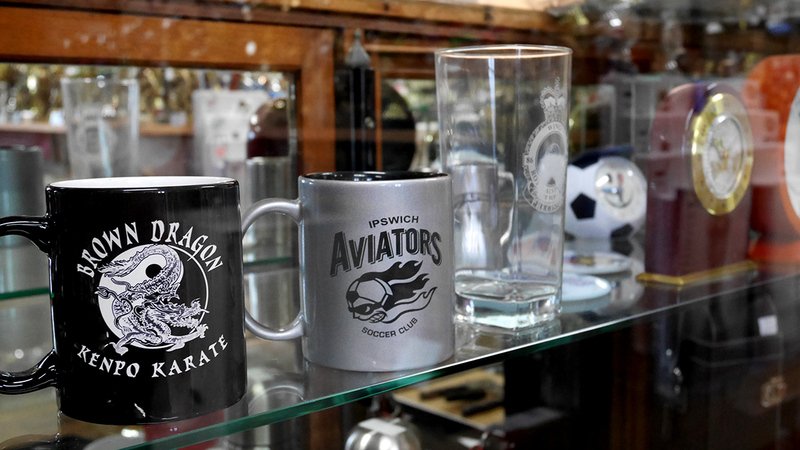 “Our soccer club has been visiting Ipswich Trophy Centre for as long as I can remember. 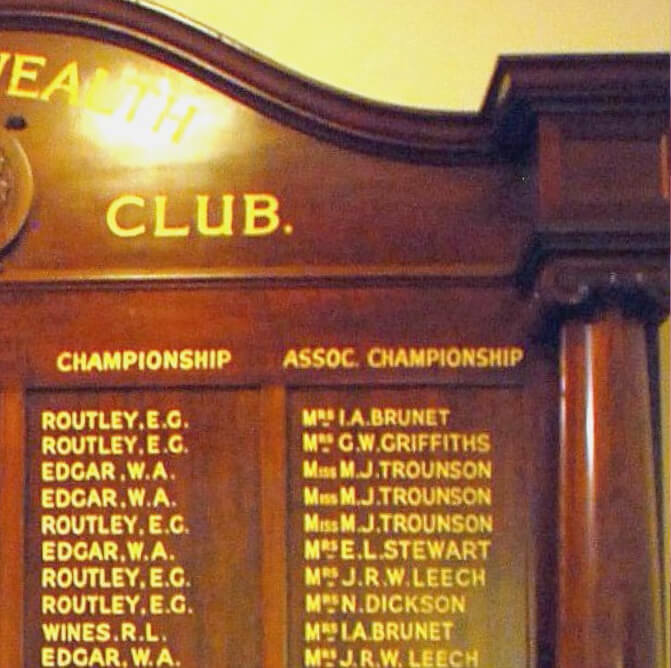 We take advantage of Mark and Shelley’s knowledge and artistic advice to create fantastic trophies and innovative club presentations and mementos. No job is too big … always outstanding quality. 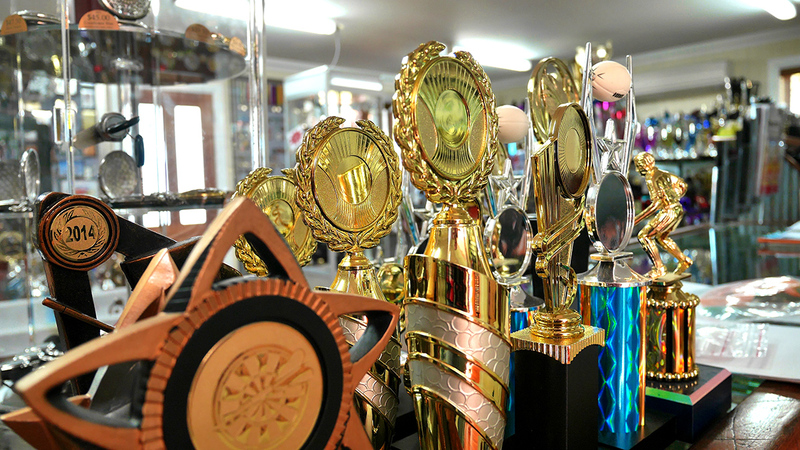 We specialise in sourcing new innovative designs for all your trophy and award requirements. 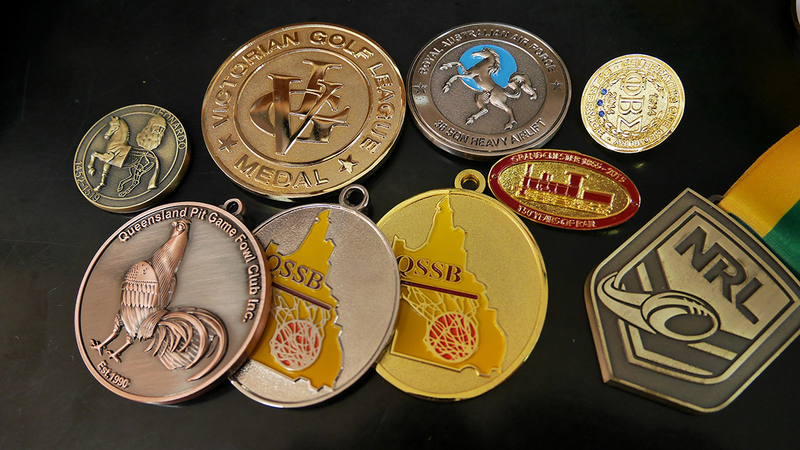 Our customer base ranges from individuals, sporting clubs, local Councils & Government departments. Quality and customer service is our priority.